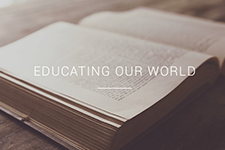 Join with Pastor David Hocking each Monday night as he teaches from God’s word. 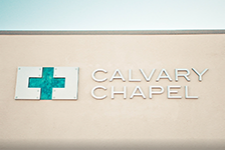 Service is at 7:00pm here at CCT in the Main Sanctuary. All are welcome to come and enjoy these insightful studies. Come and join us as we intercede on behalf of the needs of our church body, community, and nation. Join us weekly, Tuesday thru Friday from 12 noon to 1:00 pm in the Children's Ministry Area. We are studying the book of Ephesians each Tuesday morning at 9:15 am and Tuesday evening at 7:00 pm. Childcare available in the morning only. 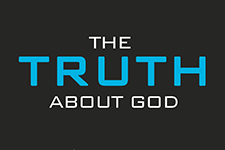 Join us each Wednesday evening at 7:00 pm as Pastor Barry teaches the truths from God's Word. Join us as we continue our study of the Gospel of Mark each Thursday evening at 7:00 pm in the Main Sanctuary. All young adults, couples and singles, are invited to come for a Christ centered time of fellowship and learning together. Invite a friend and come! Ladies, High School and up, join us as we connect together to seek our Lord in prayer and to “fill our cup” with encouragement from His Word. Continental breakfast following. Meet at 9:00 am in the Fellowship Hall. On a Mission… Please join us for a time of worship, video and sharing from our youth on how the Lord moved at last summer's Mission Trip. We will also be sharing what is in store for this summer as we will be returning to the NAOMI House in Arizona. We would love to have the church body join us in supporting this mission to minister to neglected and abused Native American children. Service is at 6:00 pm in The Chapel...... Hope to see you all there! On Easter Sunday grades K-6 will be singing in the Main Sanctuary in the first and second services. This is a great opportunity to invite family and friends! Ladies, we’re excited to announce CCT’s first women’s conference with guest speakers Diane Coy and Naghmeh Panahi (Abedini). This will be an encouraging time in the presence of God and His Word where women can find healing and and their true identity in Christ Jesus. Save the date and plan now to attend. Use the link below to register. Join us for an evening of street ministry as we share the good news of Jesus Christ. Meet at the Church at 7:00 pm for prayer and then we will go out as a team. See Pastor Josh or Joe Villa for more information. We have immediate opportunities to serve in our Usher Ministry. Please stop by the Information Table to pick up an application. Adult and youth volunteer sign-ups available for this year’s VBS to be held on July 22-26 from 9:00 a.m. to 12:15 p.m. Please sign up at the Children's Ministry Table. Join us for a time of remembrance and celebration of our Lord's death, burial and resurrection. Beginning on *Good Friday at 7:00 pm in the Main Sanctuary, there will be an evening service with communion. Following on Easter Sunday morning, there will be a time of celebration of our Lord’s resurrection at the regularly scheduled services, 9:00 am and 11:00 am. *REND and Noon Hour Prayer are cancelled on Good Friday. 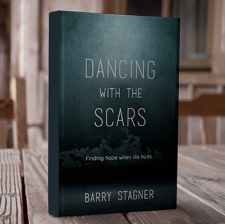 Pastor Barry’s book, Dancing With The Scars, is available at the Information Table. Pastor Don Stewart has recently had several new book releases; stop by the Information Table and check them out. Watch Pastor Barry on HisChannel.com.